Give your Mooresville yard a makeover with our tree trimming services. 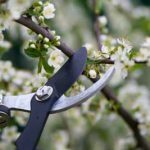 If your yard in Mooresville, North Carolina has trees, you will need tree trimming services at some point. There are many reasons to consider tree trimming. One of the most basic reasons to have tree trimming performed is to make your property more attractive. Having an attractive outdoor area at your home or business can increase your enjoyment of the space, as well as raise your property’s value. Tree trimming can improve the shape and appearance of your trees, but it is important to not overdo it. Trying to impose a shape or size onto a tree is difficult and can harm the tree’s health. Another reason we would recommend tree trimming is your safety and to reduce the chances that a branch or tree would damage your car or building. You want your family, employees and customers to be safe while enjoying your outdoor areas, so it is important to remove dead branches that could fall at any time. Tree trimming can also keep your trees healthier, especially if they are affected by pests or disease. When you give us a call at Top Notch Tree Services to discuss tree trimming, you can rest assured that we are fully insured and that we will provide you with a free estimate before any work begins. Once the work begins, we will strive to complete the job efficiency and safely. After the work is complete, we will carefully clean up after ourselves, so all you are left with is a beautiful tree you can enjoy for years to come. If you are ready for tree trimming or just want to learn more, give us a call today.